79418 is rated 4.8 out of 5 by 12. Complete the look of your bath with this Linden 18" Towel Bar. Delta makes installation a breeze for the weekend DIYer by including all mounting hardware and easy-to-understand installation instructions. You can install with confidence, knowing that Delta backs its bath hardware with a Lifetime Limited Warranty. Rated 5 out of 5 by Giddeyup from Quality Look and Feel This is the third bathroom I’ve redone using Delta’s Linden design. It is an elegant and clean design and has a heft that gives it a quality feel. Instructions were thorough and templates for drilling included. I couldn’t be more pleased with the purchase. Rated 5 out of 5 by jank from Delta Linden 18" Towel Bar We had to order the 18" because the 24" was too long for the area where it needed to be mounted. That said, this goes with the rest of the bathroom fixtures, and they are beautiful! 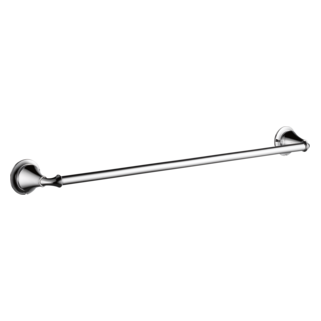 Rated 5 out of 5 by DaveK from I Would Buy Again I ordered this towel bar because it was part of the Linden Collection. The other plumbing fixtures in the bathroom were from the same collection. It arrived promptly as do all of my orders from Build. It was easy to install considering that I had to shorten it somewhat to fit in the space. The quality was excellent as are all the products from Delta. 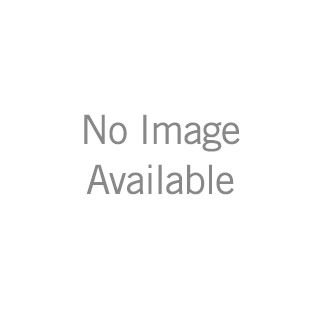 Rated 5 out of 5 by Justin from Great item I'm a contractor and I always buy Delta fixtures. They have a great fit and finish. The customers are always pleased with their fixtures new and through the many years of use. Rated 5 out of 5 by Sherry from Superb quality! Such a nice towel bar! It is very classy and of very high quality! Very easy to install!! Shipped immediately! Rated 5 out of 5 by sharon from Beautiful details We are very happy with our purchase. 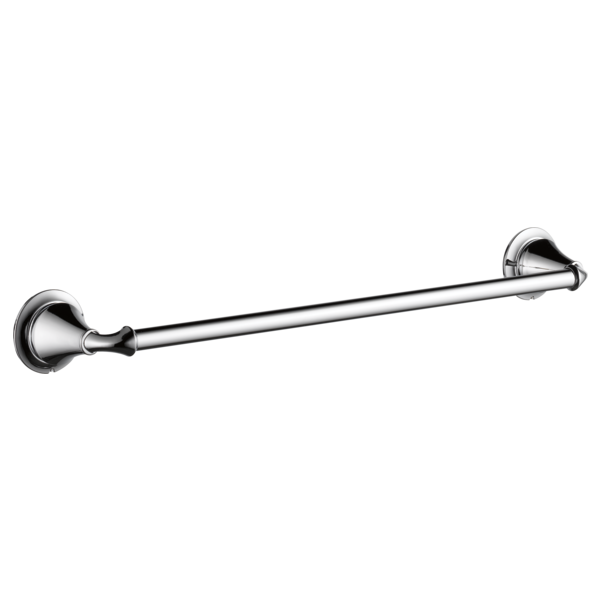 It is a very study and nice looking towel bar. Can the bar on delta sawyer 18&rdquo; towel rod be cut shorter. 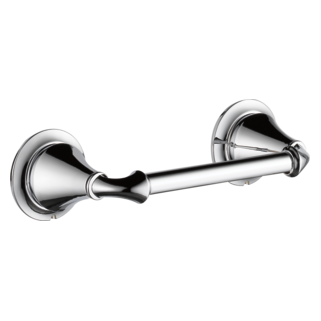 Is there a 24 inch satin nickel double towel rod in the Linden line? If not, what other line is closest to the Linden line in design? Is the bar itself removable so I can cut to a shorter length? For a 24-inch door, I want an overall shorter length bar. Can I neatly cut the bar and then slip into the brackets? Or is the product a one-piece assembly? Thank you. Thank you for your question. 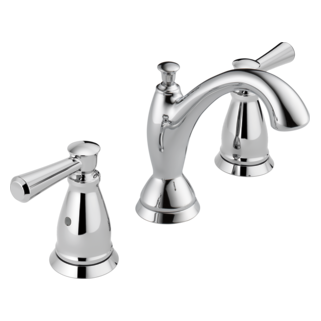 Delta Faucet model # 79418 is able to be cut down to make it a shorter length. Keep in mind that we do not warranty the product for any complications or issues related to the cutting of the tube. I recently installed this towel bar into my bathroom. The look is great however the towel bar spins freely and causes a loud noise while doing so. Is this how the bar is designed to be or is there something I can do to keep the bar from spinning? Can this be installed in a shower? 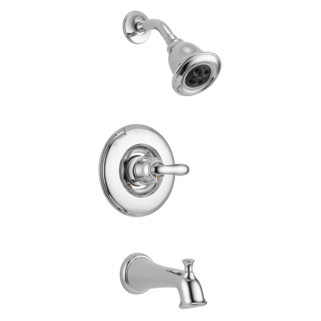 I am updating my master bath and have purchased several fixtures in Venetian Bronze. I'd like to include a towel bar in the shower for washcloths and whatnot. Would this item work for that purpose? 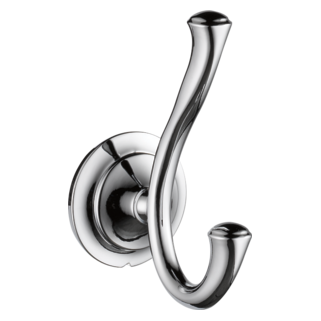 Or any of the other towel bars available in Venetian Bronze?